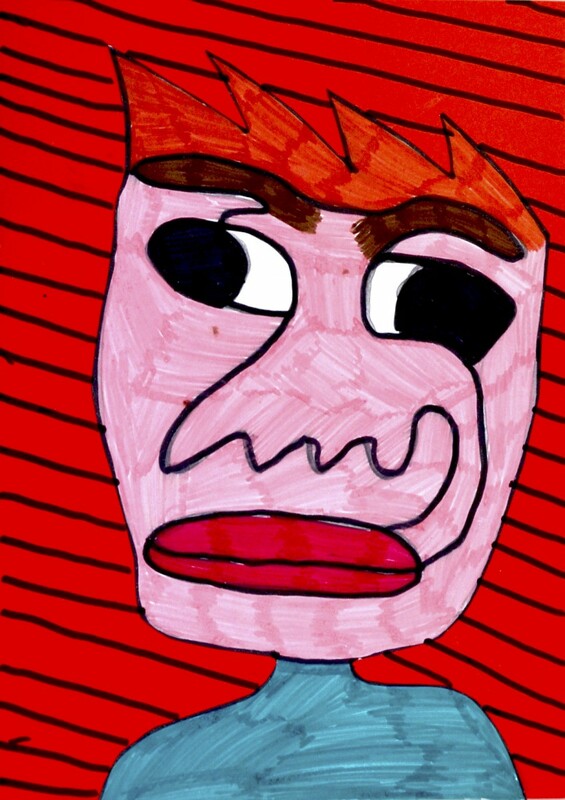 Students of grade 6th have drawn some very original faces. 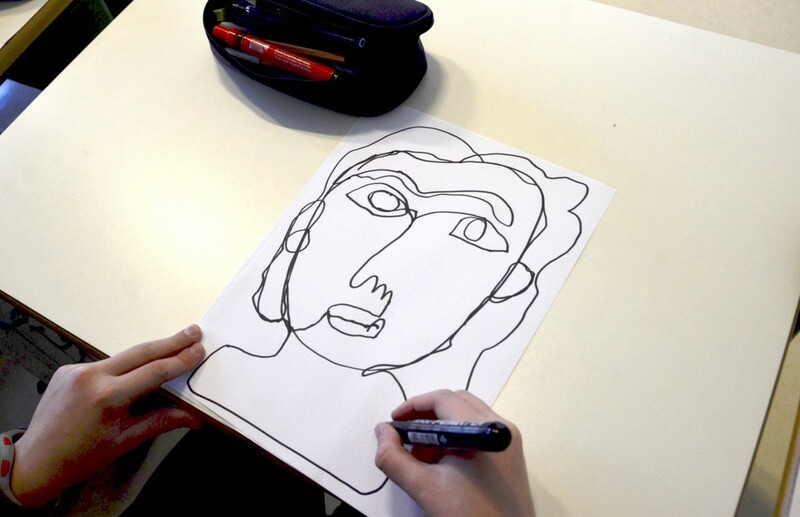 As you can see these faces are made with a single line , without lifting the hand from the paper. 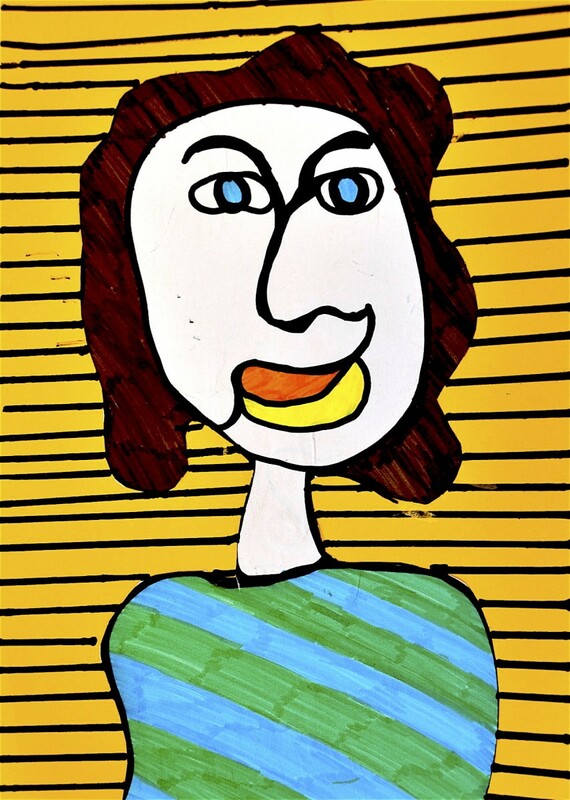 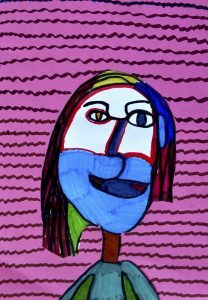 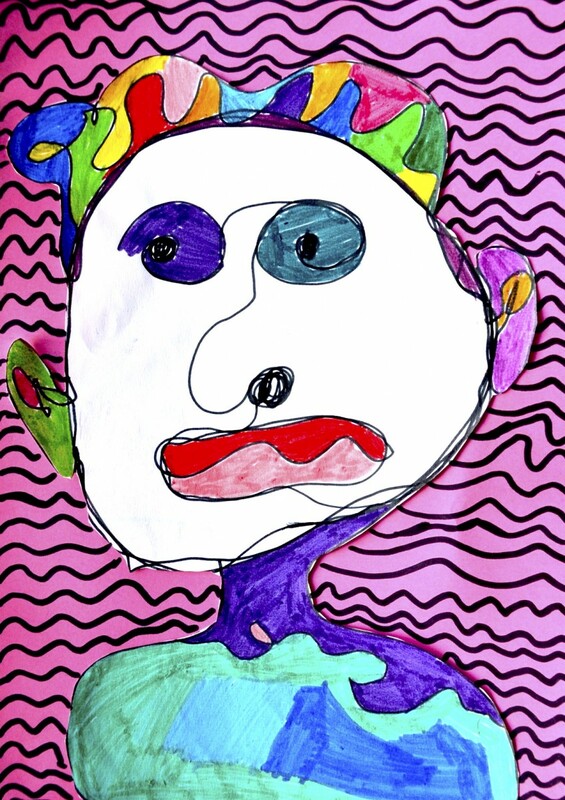 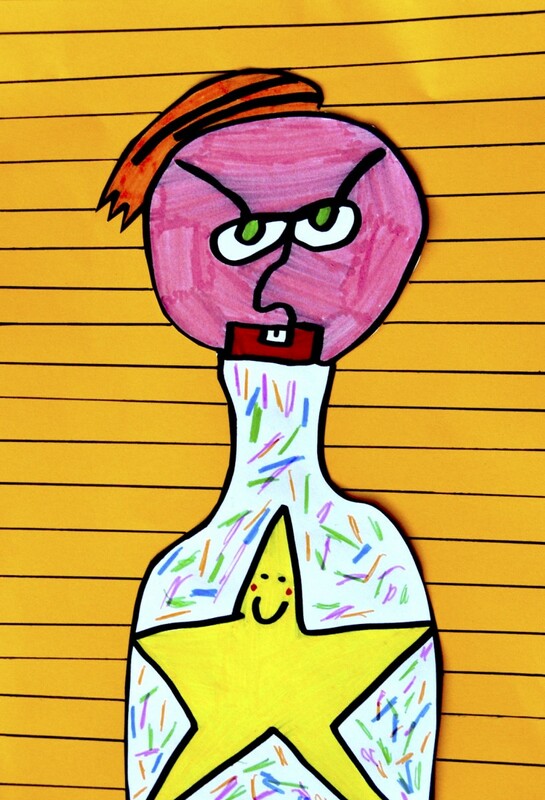 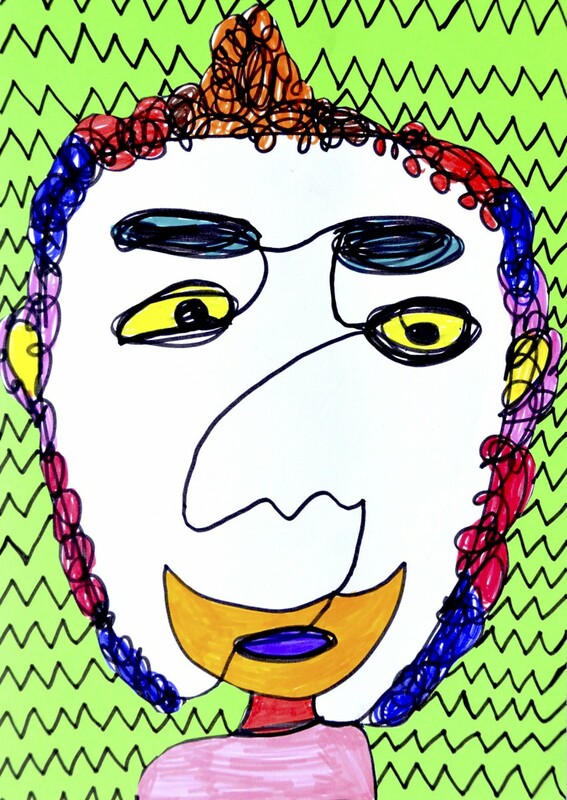 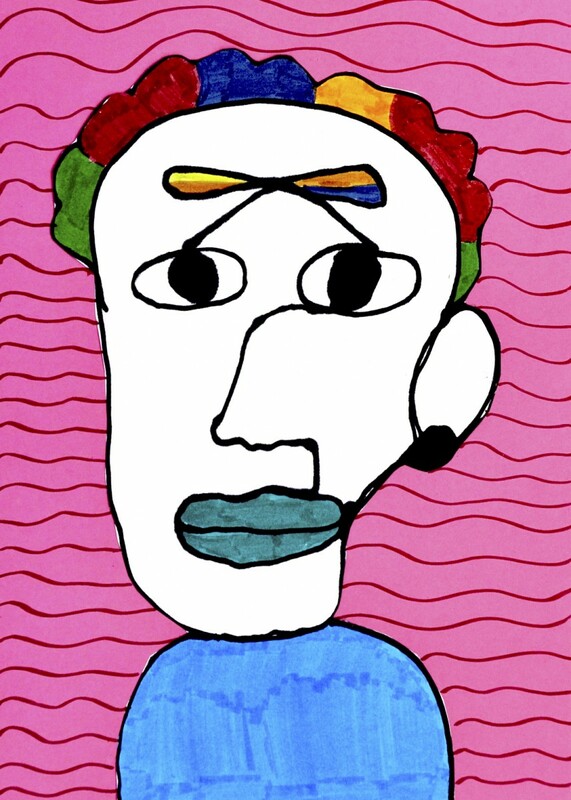 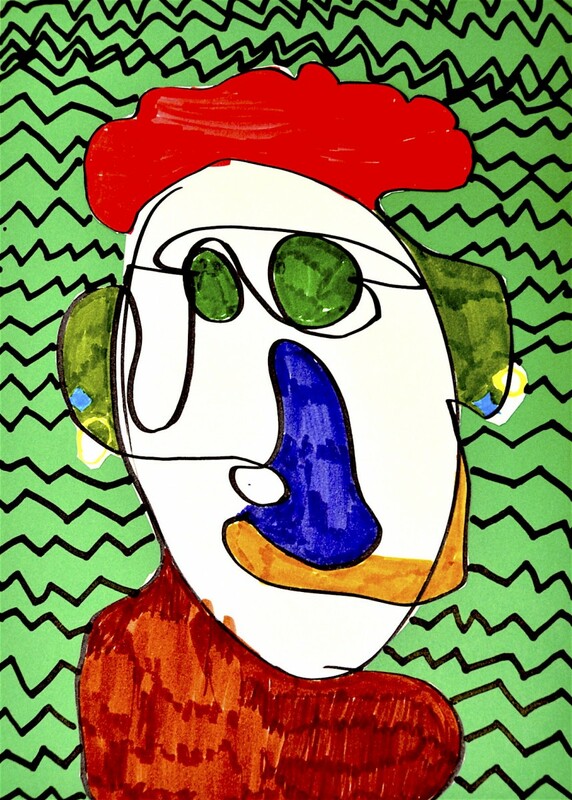 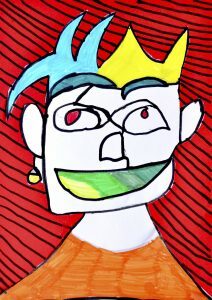 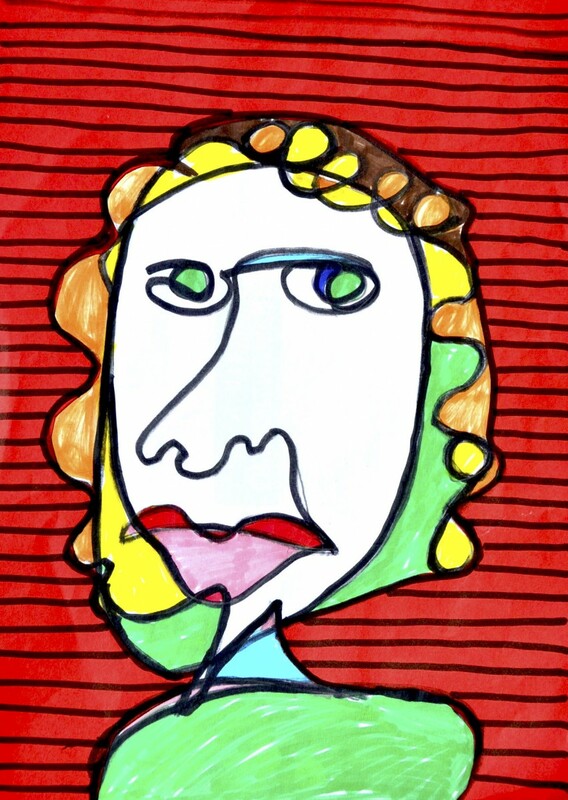 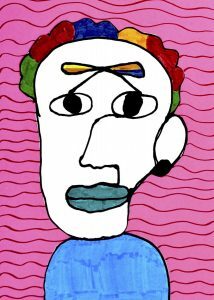 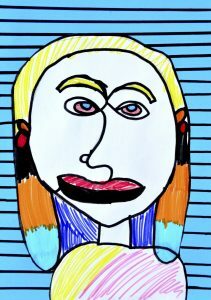 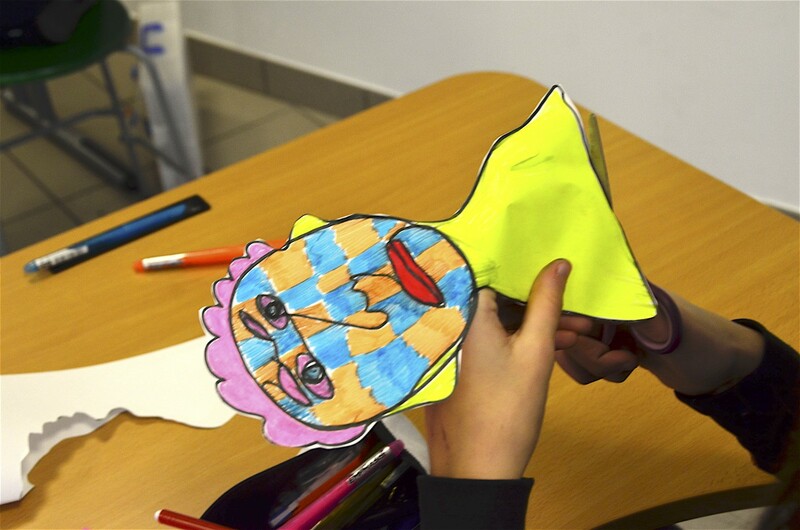 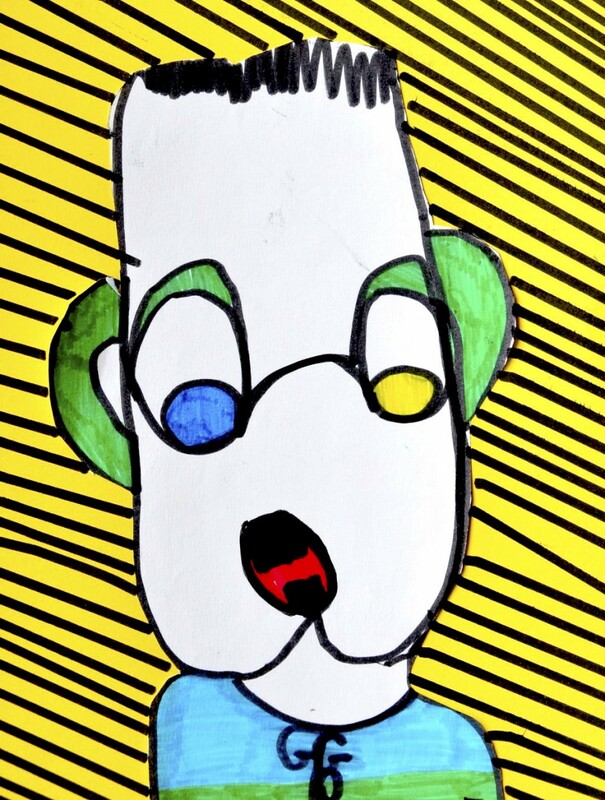 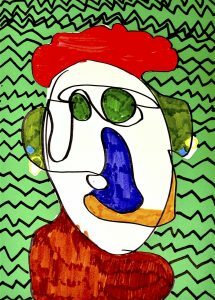 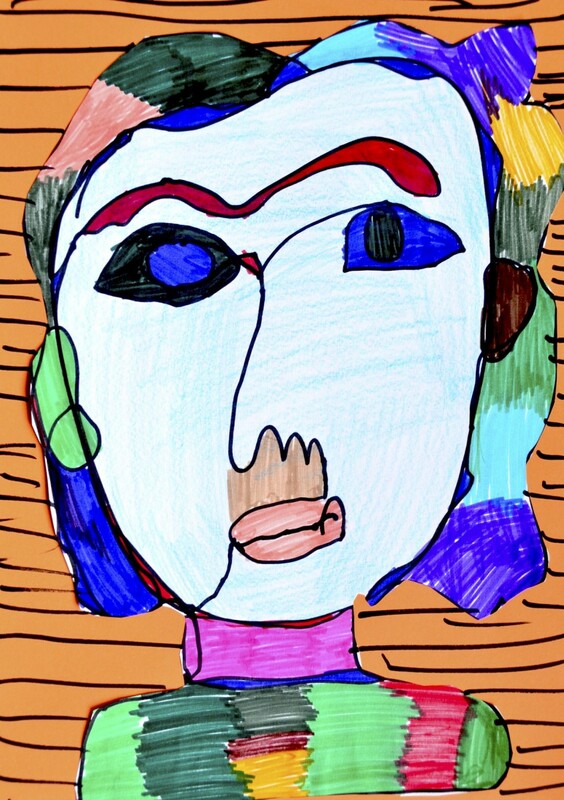 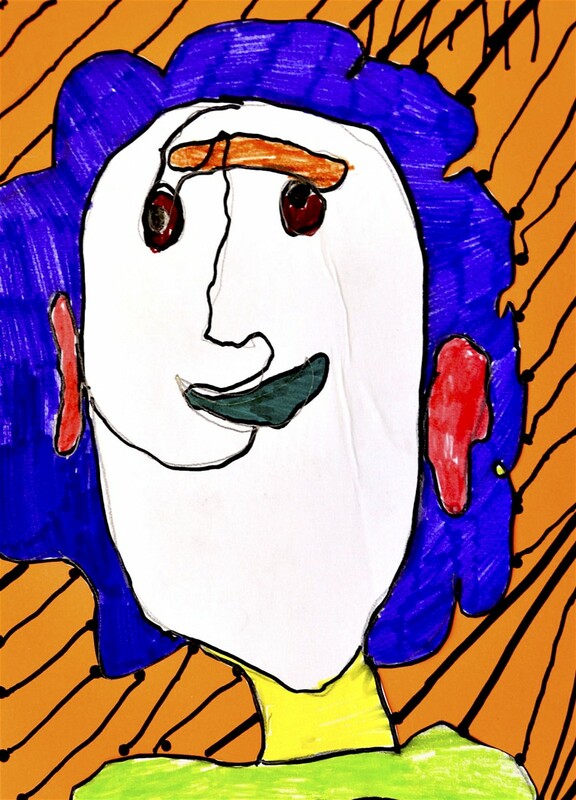 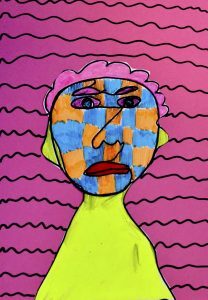 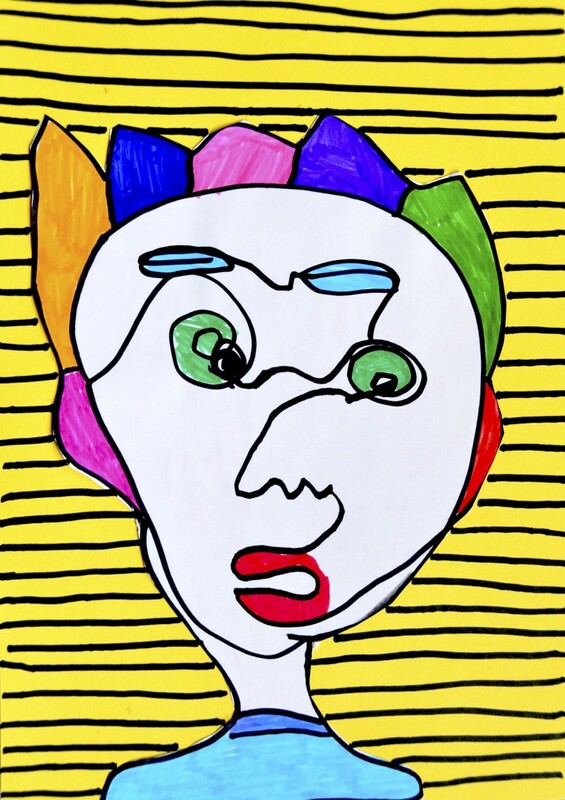 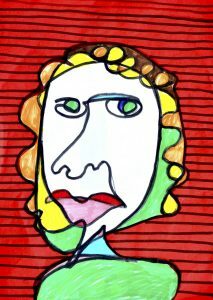 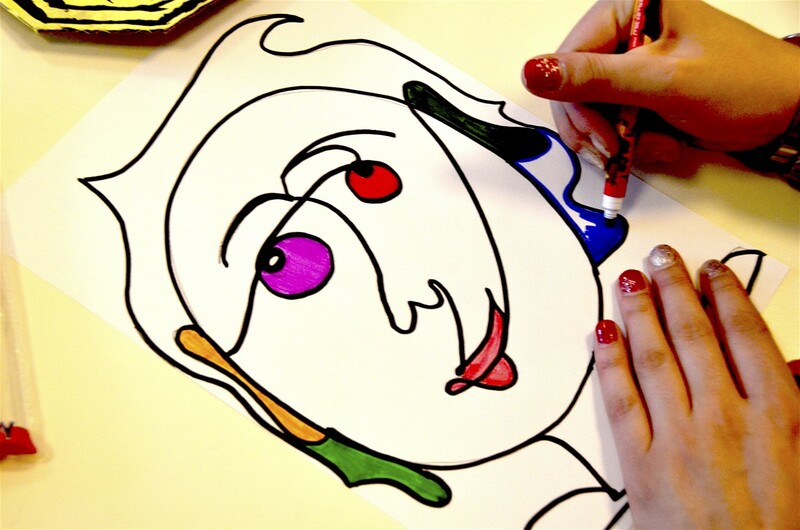 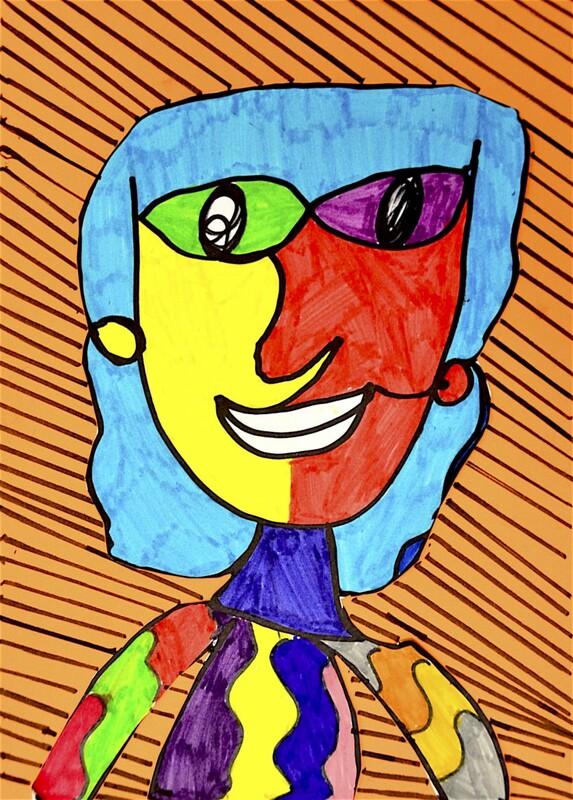 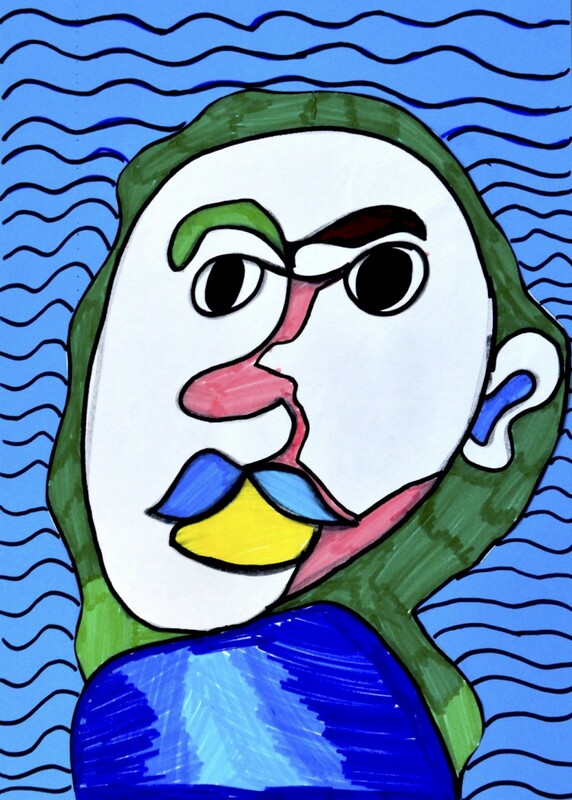 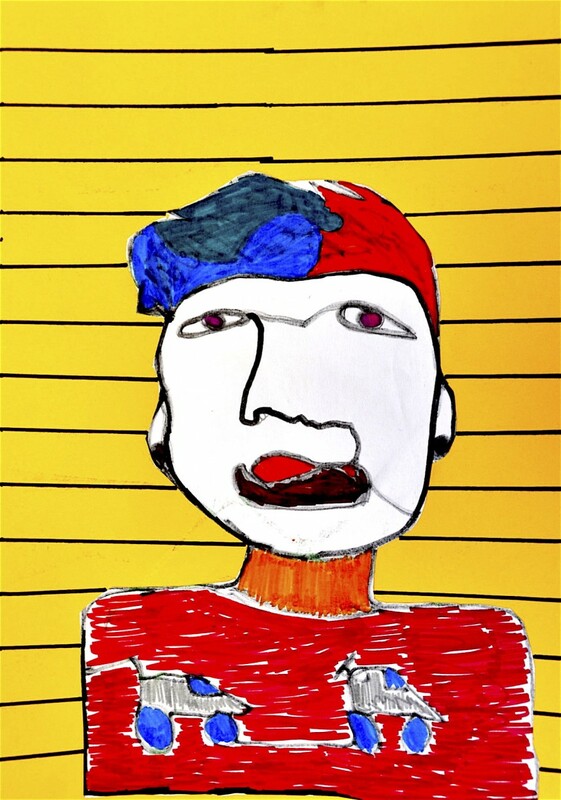 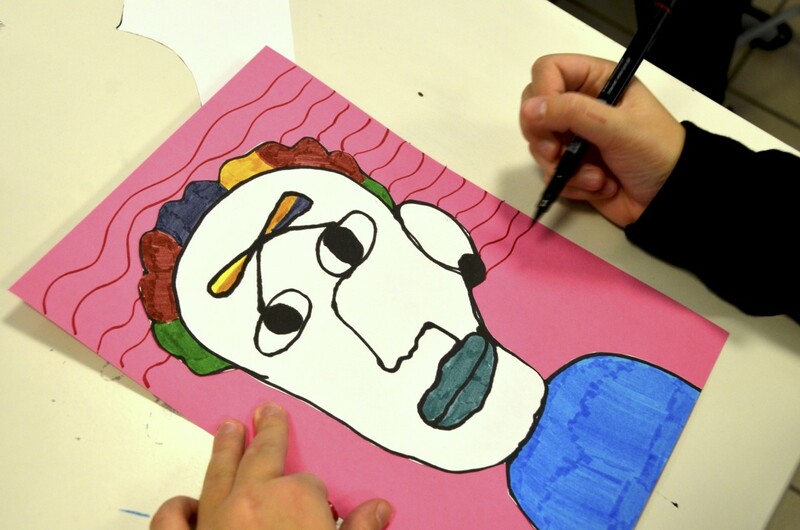 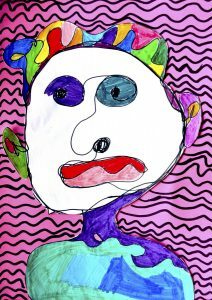 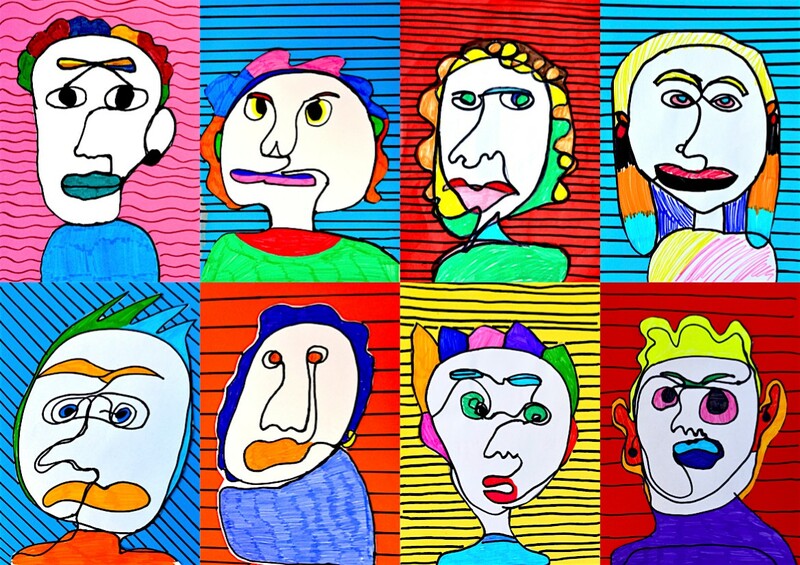 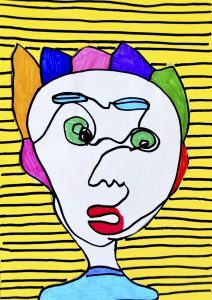 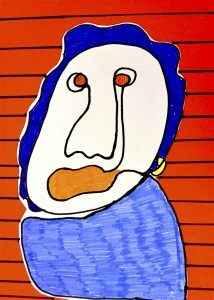 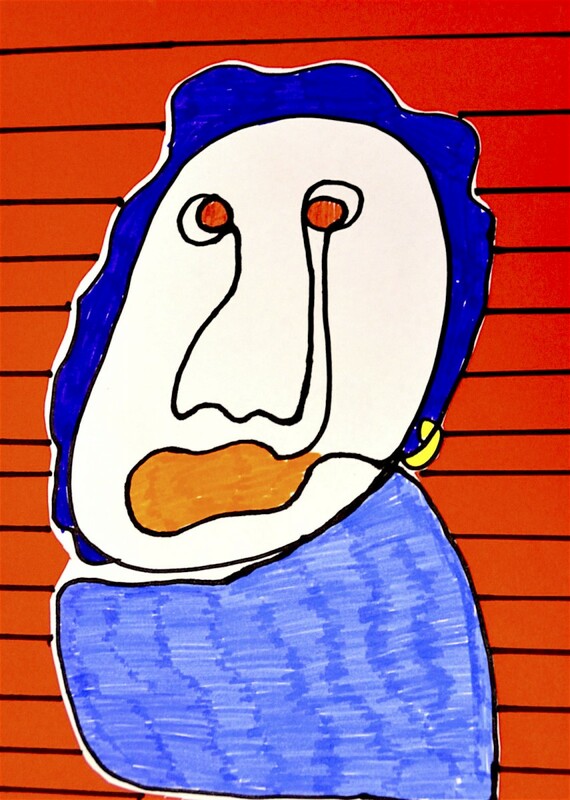 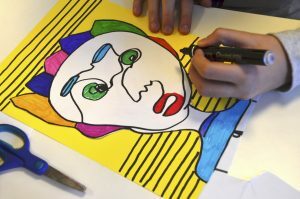 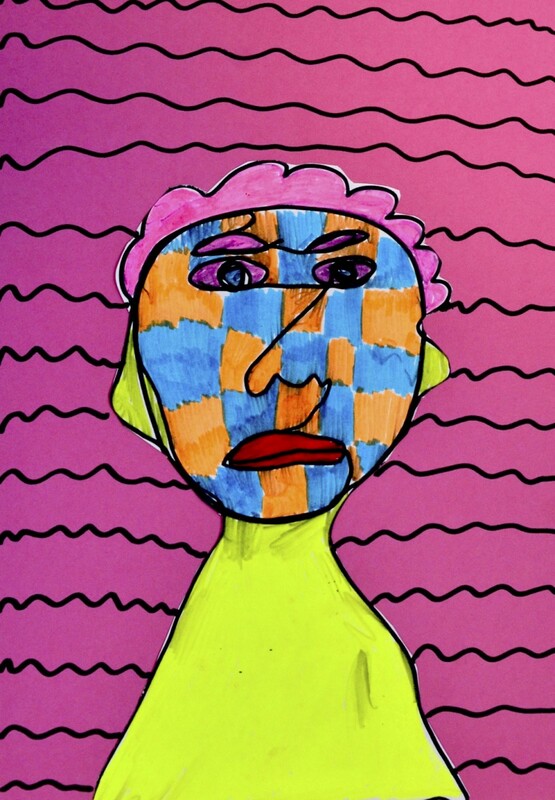 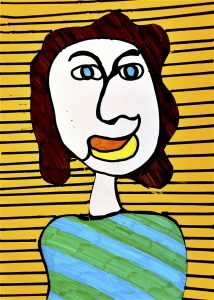 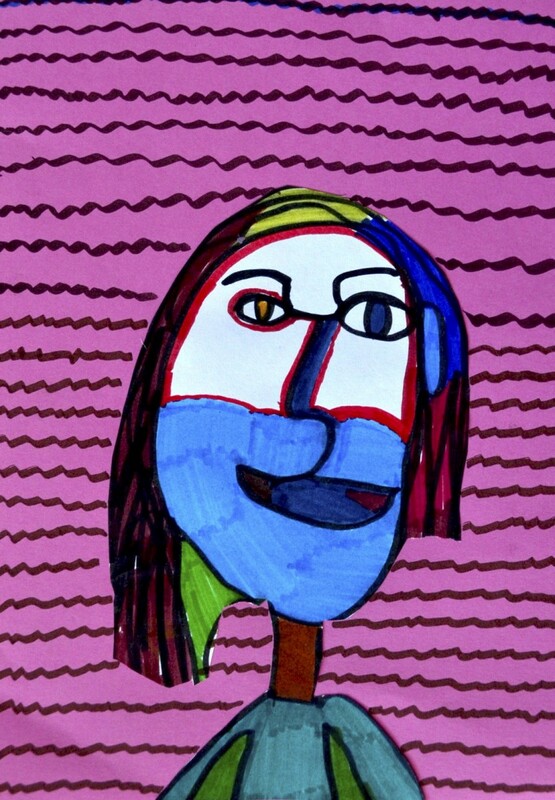 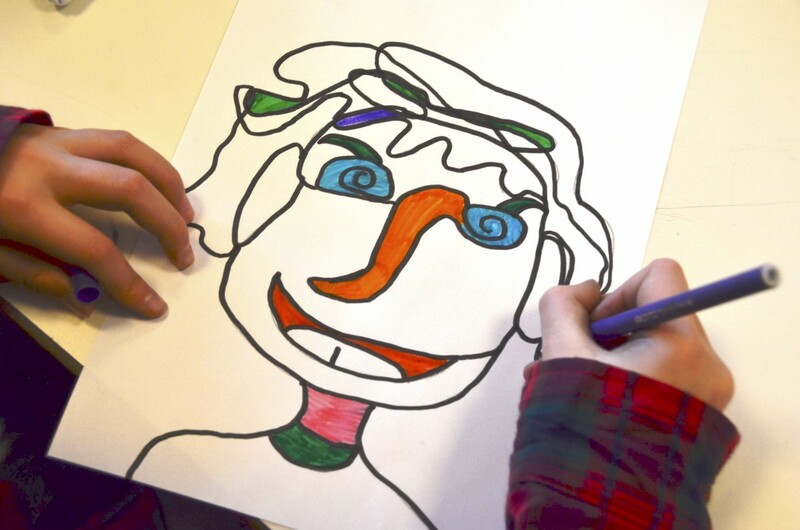 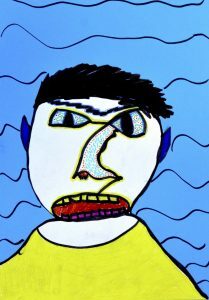 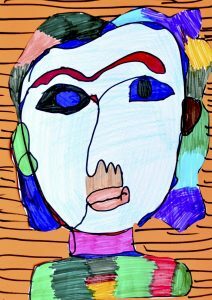 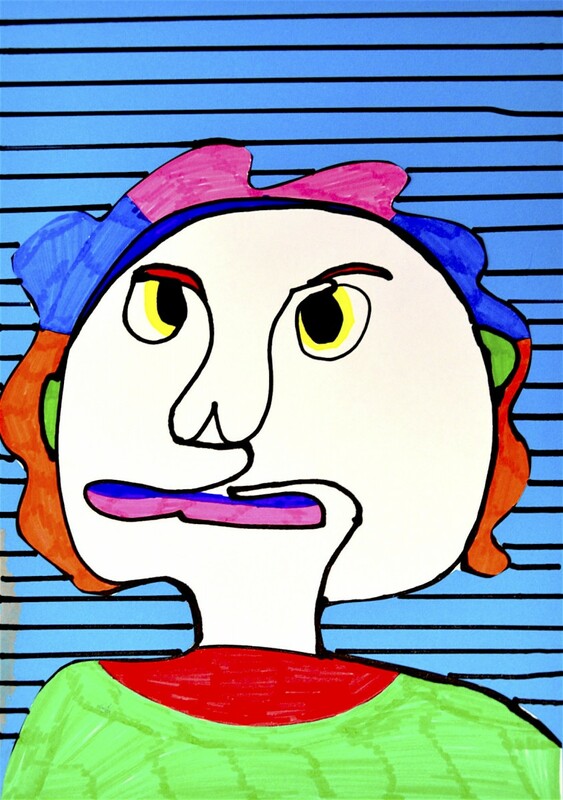 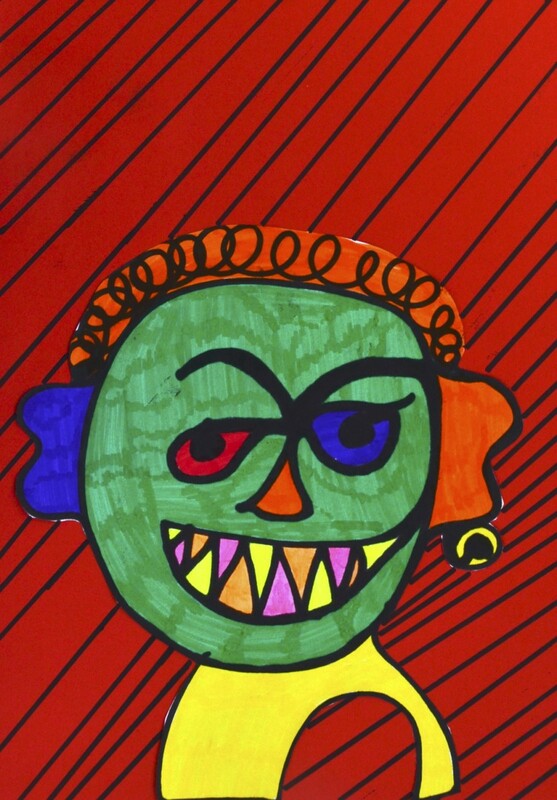 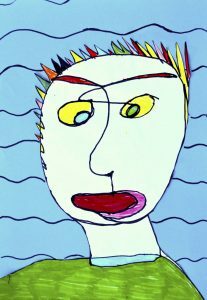 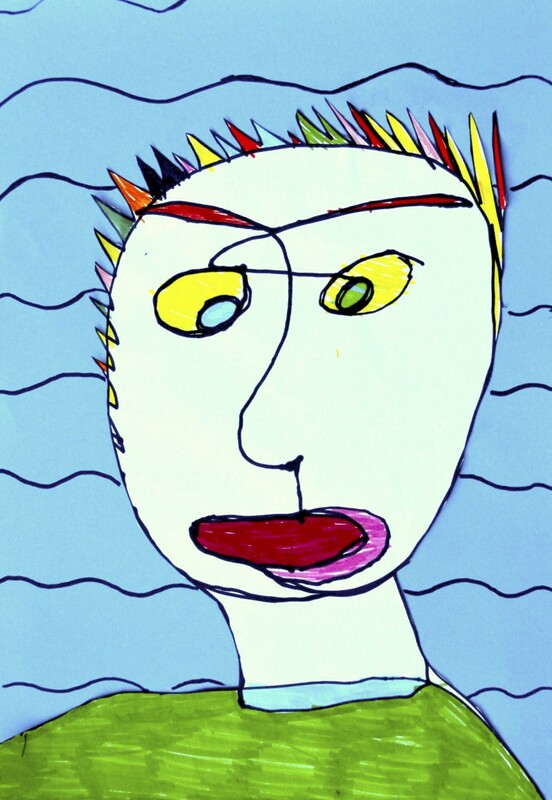 This activity is similar to the portrait inspired by Dubuffet, made with our eyes closed. 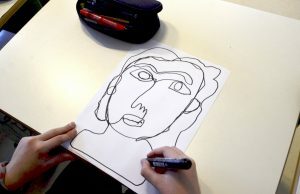 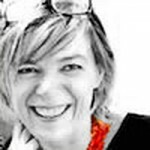 In this work our eyes were opened because the aim of this work is to create a face with a single line overcoming the stereotype that art is connected just with beauty, proportions and that it must imitate the reality. 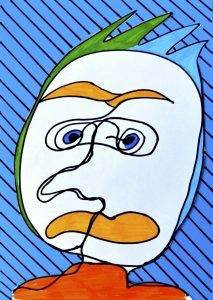 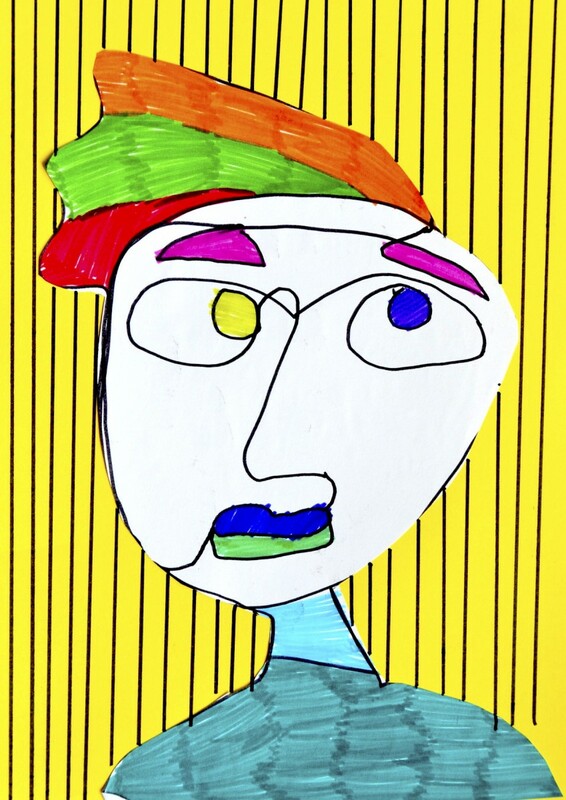 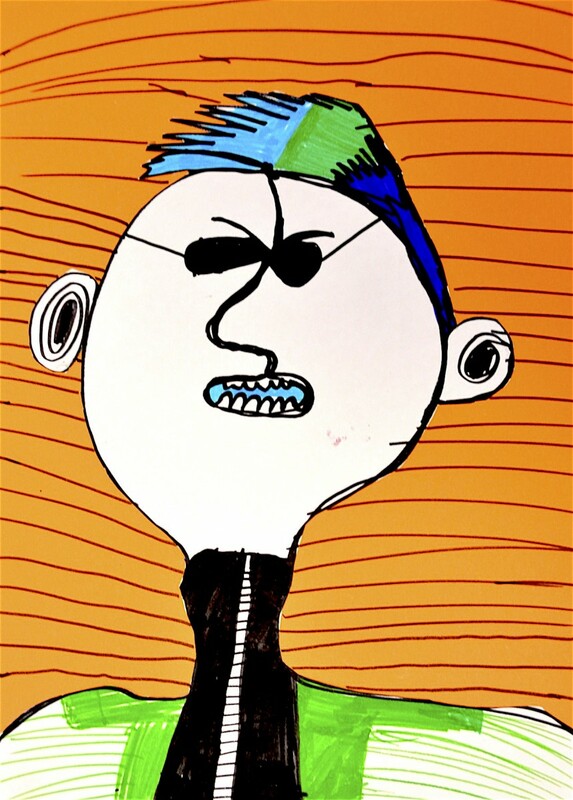 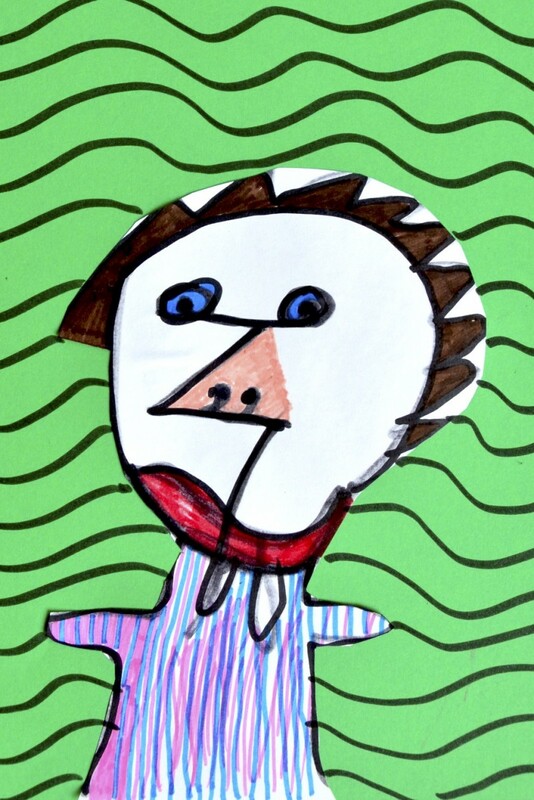 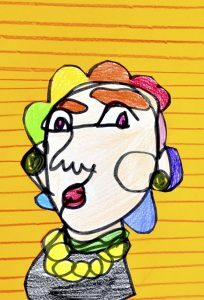 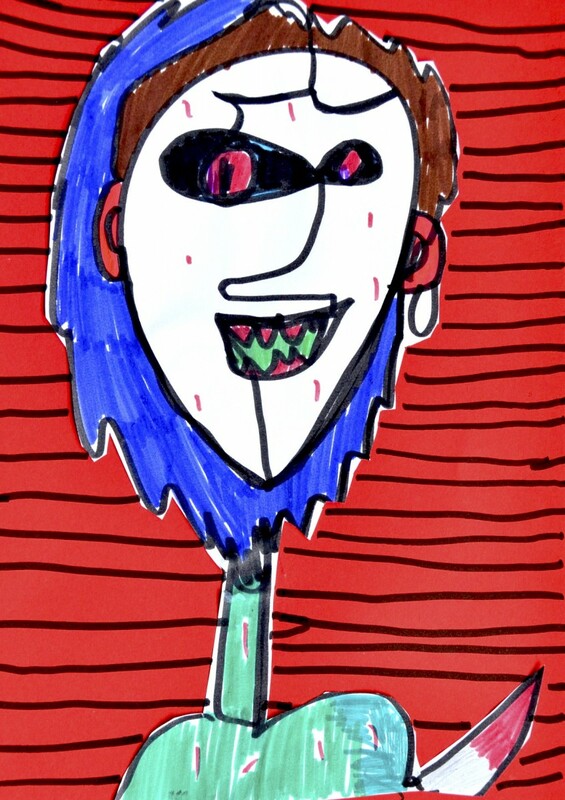 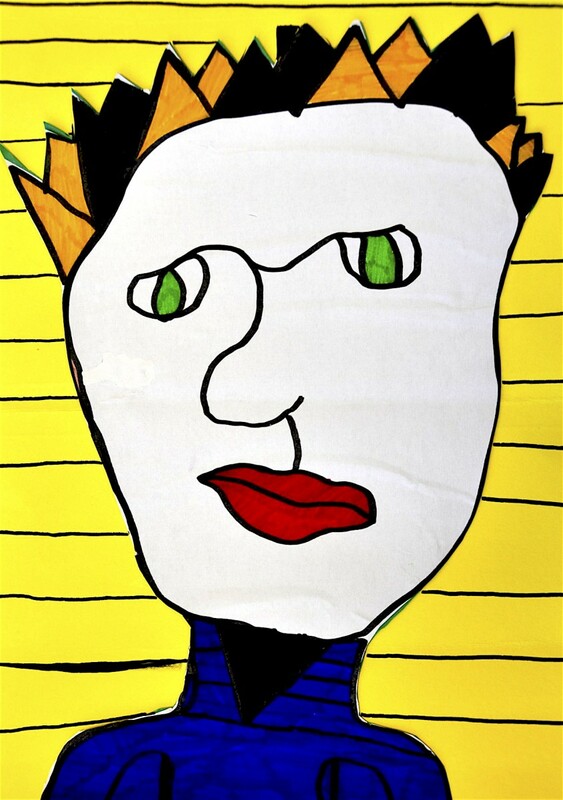 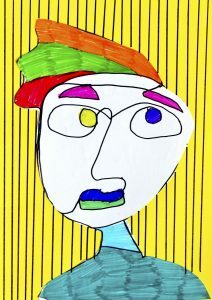 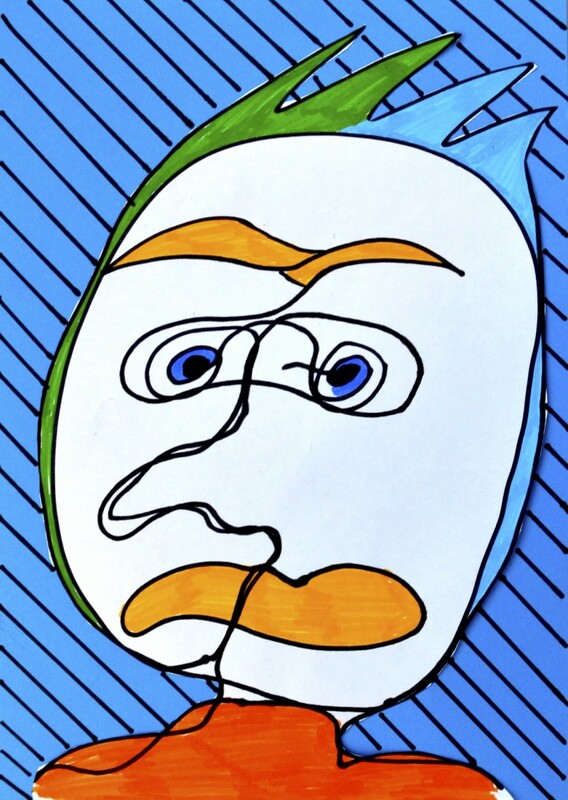 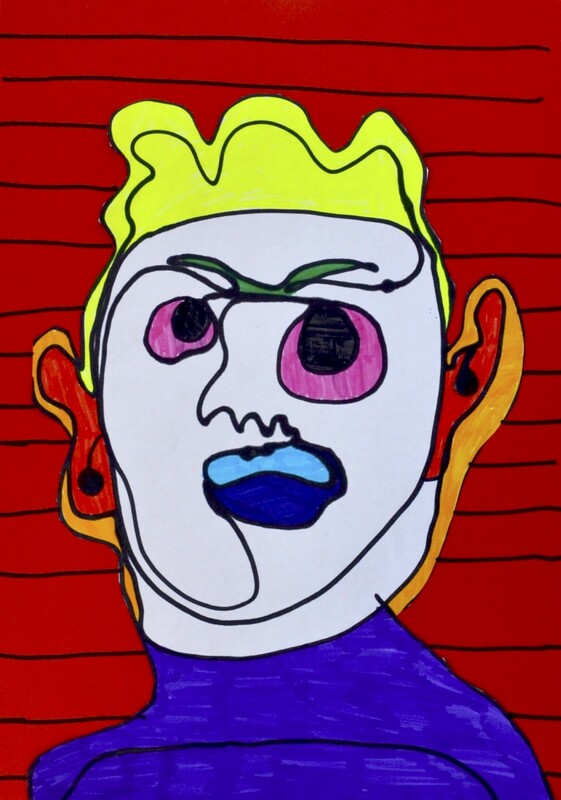 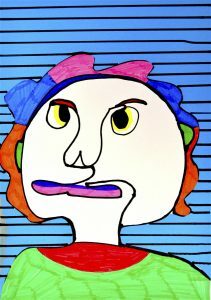 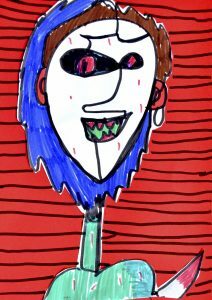 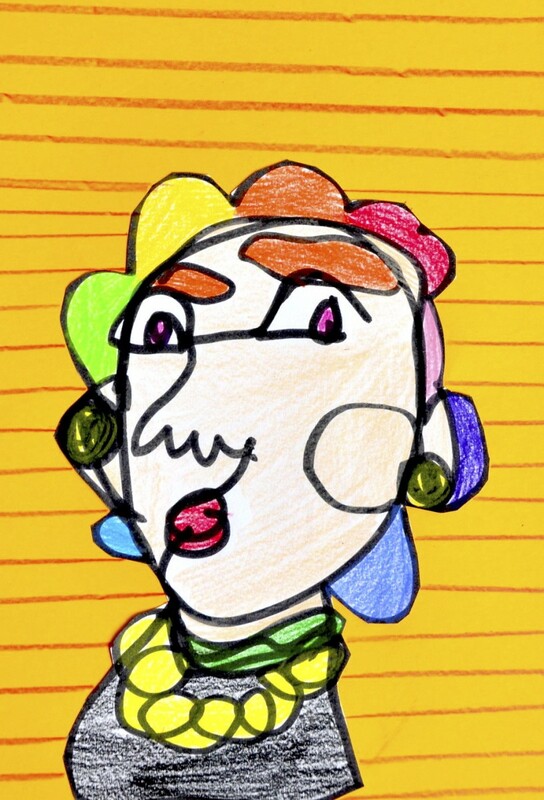 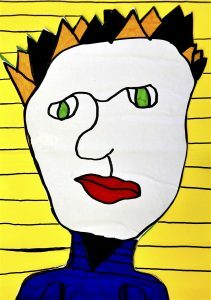 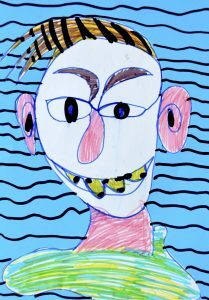 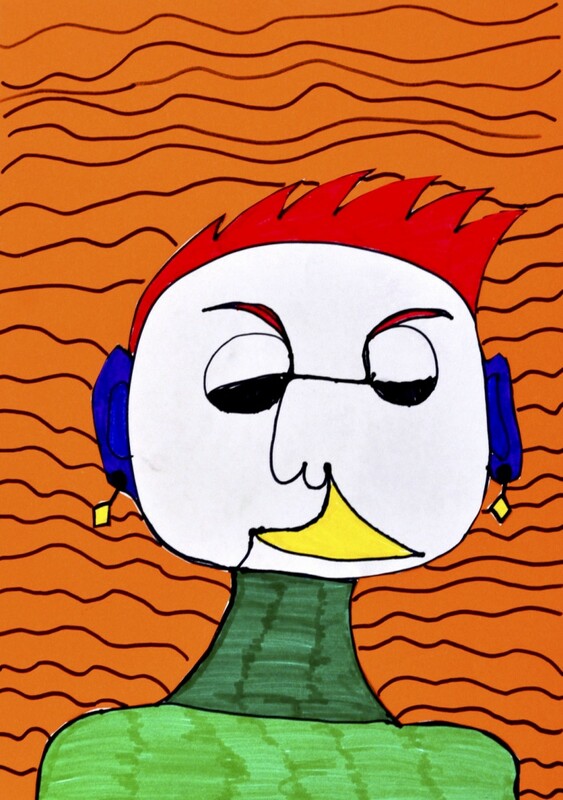 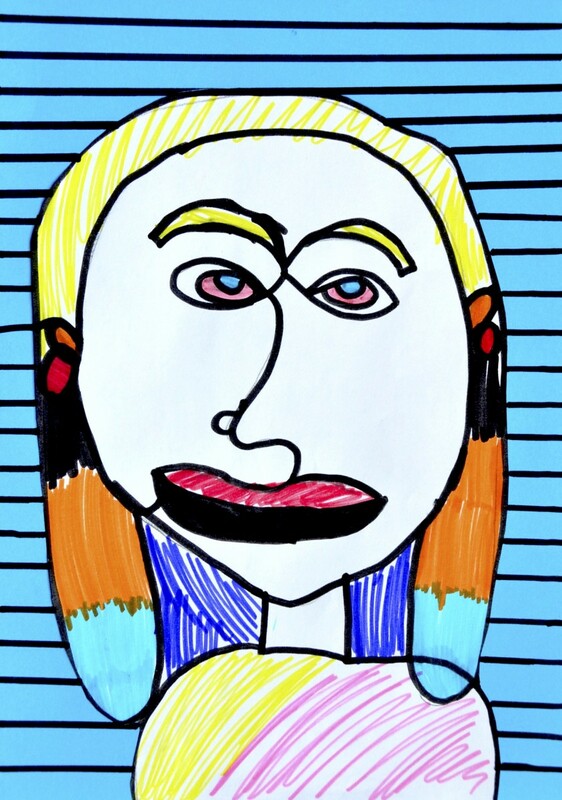 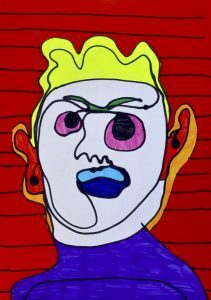 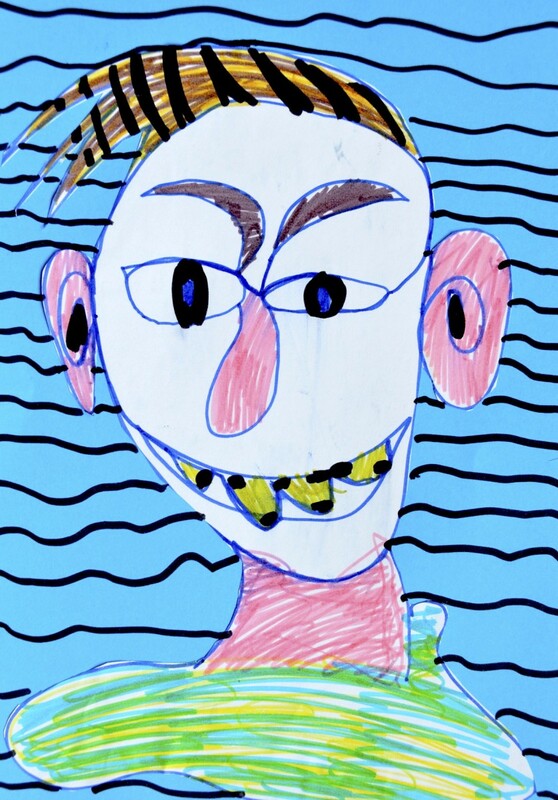 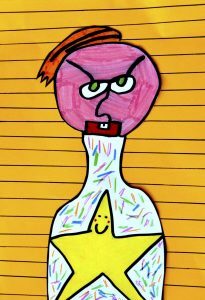 In these drawings every student has created a personal, unique face. 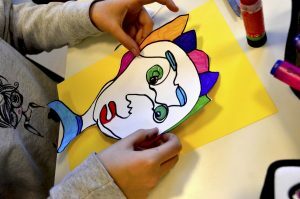 We had fun and furthermore, we discovered that art is not just about perfection, but also expressivity, fun, overcoming the concept of mistake and creating one-of-a-kind stuff. 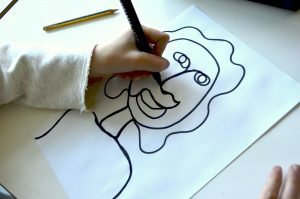 Would you like to try? You need just some minutes, a paper and some felt-tip pens. 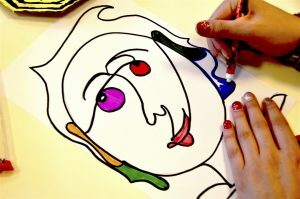 When you finish your drawing you can cut it out and paste it on a colored cardboard, decorating the background with lines.